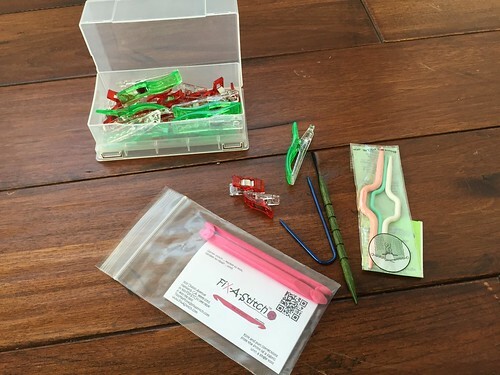 It goes without saying that all knitter’s and crochet enthusiasts love their gadgets, notions and accessories….it seems to come with the territory. 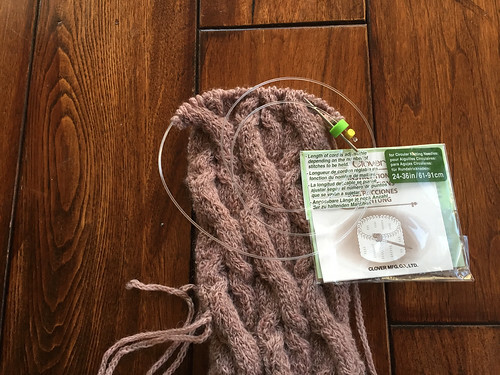 There are many “must haves”, things that support and bring ease to knitting and then those that just LOOK PRETTY….right, you know what I am saying, we are all suckers to this! 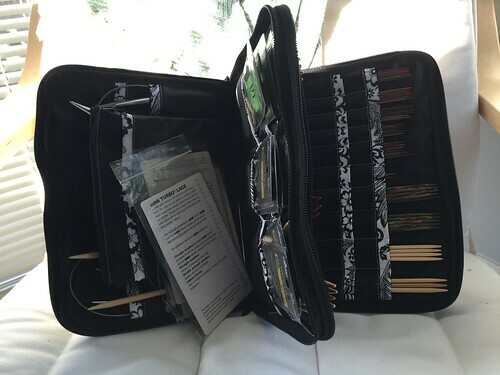 So I thought that I would share what I have in my knitting tool box, what I use all the time and can’t live without, what helps me stay organized and on track with my knitting as well as what makes me smile to look at. I am sure you have some of these things, but there may be a few that surprise you or that you haven’t seen before. Don’t you worry all of these products can be found at Urban Yarns on our big notion wall or in the shop and all make great Christmas gifts or stocking stuffers….wink….wink…. This kit will make blocking so much more efficient and easier and goes lovely with this blocking mat set http://www.urbanyarns.com/knitters-pride-lace-blocking-mats/ and of course stitch markers, you can never have enough of those. These clips are super handy, I use them to hold my tales in nice little bundles that stay out of the way while knitting, as well as for holding pieces together while seaming. They come in two convenient sizes. Cable needles in all shapes and sizes as it depends on my mood and what yarn I am working with. 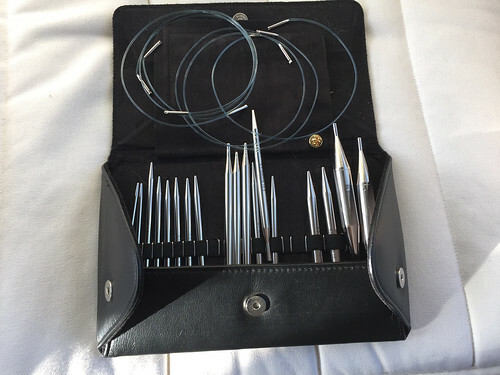 A crochet hook or this handy “fix-a-stitch” set for those drop stitches and quick mends. The uses for highlighter tape are endless. 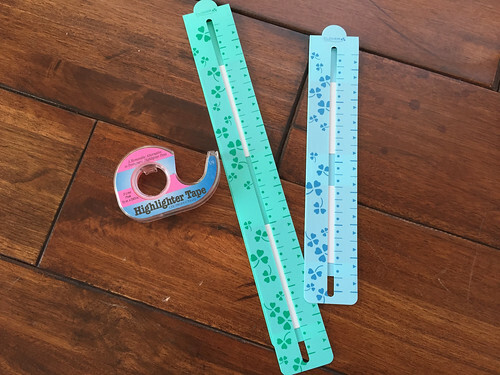 Use it to mark your place on a pattern, keep track of your row on a chart or highlight important notes. It is transparent and re-stickable to an extent so it lasts a long time. I also use these Clover chart readers to mark my place on charts and patterns. They are magnetic and fit perfectly over a plastic sheet protected pattern or chart. The set includes two sizes. This is one you may not have seen before. 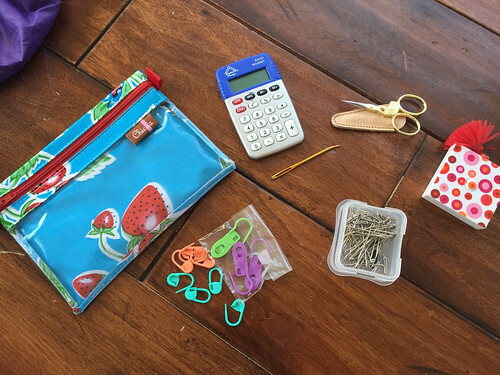 You know the usual hard straight stitch holders, well these are SO much more comfortable and convenient as they are a flexible cord allowing for more movement and less bulk. They also have a needle type tip on one end for ease of getting those stitches on and off of the holder. They also come in two convenient lengths. Yes you can never have enough stitch markers or tip protectors in many different shapes and sizes. 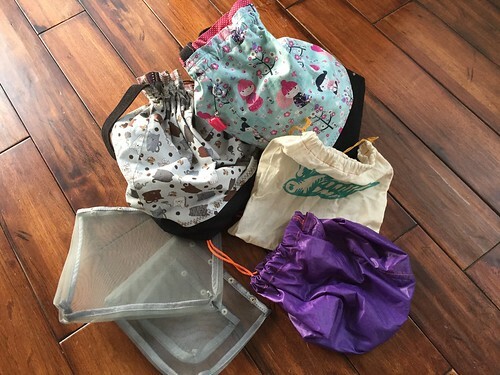 Definitely can’t forget about project bags! Another thing you can’t have enough of….and one of those things that are just fun and pretty. Last but not least, I can’t forget about needles!!! Whether you prefer the sharp Knitter’s Pride birch wood needles or the metal slick and fast Addi Turbo’s, we have you covered. 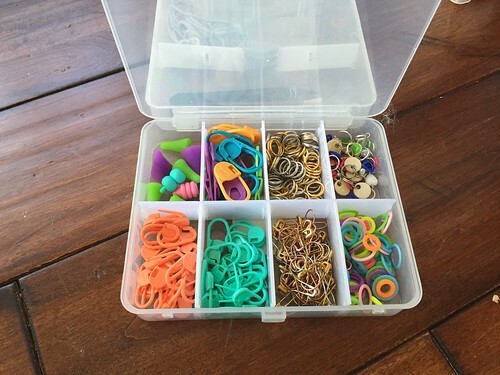 And to hold all of your needles? 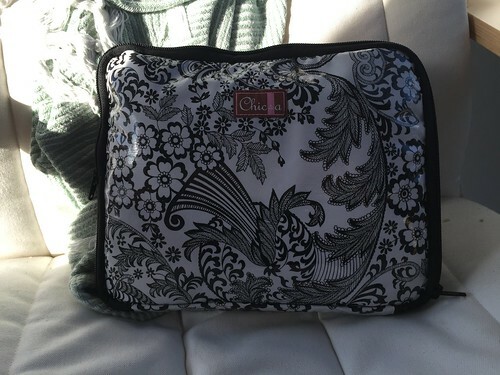 Chic-a has plenty to offer…I have this one and love how it holds all my random circular needles AS WELL AS my dpn’s all in one compact case!! There are many different styles to choose from, one that just holds circulars, just straights, just DPN’s and then the combo case-all very durable and compact. Now what is in your tool kit? Or what are you missing, come on down to Urban Yarns to fill in any holes or start a wish list for the holidays, we have lots of great stocking stuffers!! This entry was posted on Monday, December 1st, 2014 at 10:47 am	and is filed under Uncategorized. You can follow any responses to this entry through the RSS 2.0 feed. Both comments and pings are currently closed.